Right after wrapping up his run as Figaro at the Met, Ildar swaps his valet’s cloak for a toreador’s cape, remaining at the opera house fortwo performances as Escamillo in Carmen on October 28 and November 1. The second performance will be transmitted live to cinemas worldwide as part of the Met’s Live in HD series, Ildar’s second HD transmission so far this season. Ildar sings alongside Anita Rachvelishvili, his Met co-star in last season’s Prince Igor, in the title role of the ill-fated temptress and Aleksandrs Antonenko as Carmen’s desperate lover, Don José, with Pablo Heras-Casado conducting Richard Eyre’s production. 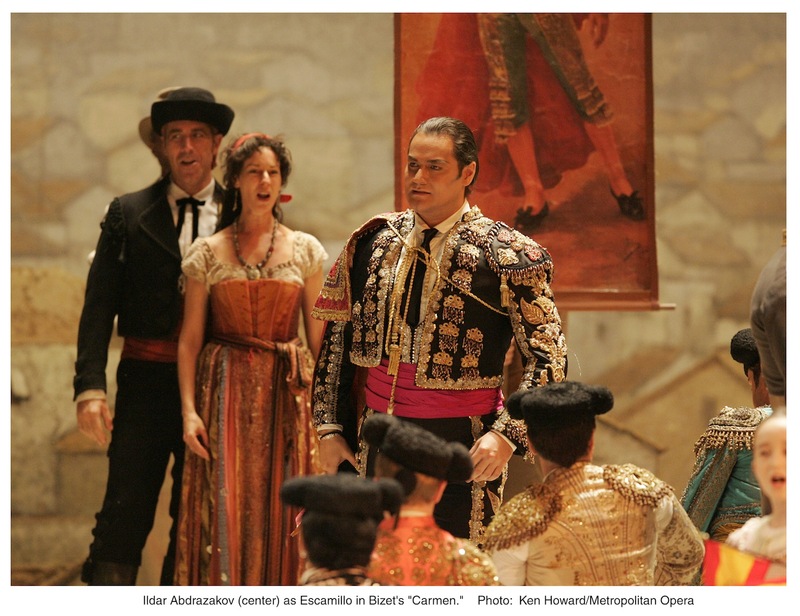 He has sung in this production at the Met previously: in February 2013, he stepped in to sing a single performance as Escamillo, which was broadcast live over the Toll Brothers-Metropolitan Opera Radio Network. He also sang the role during the Met’s 2004-05 season in Franco Zeffirelli’s production.